October 25, 2017 By Nick A.
Justin Turner is having a postseason to remember. He’s already the owner of the Los Angeles Dodgers record of 14 RBI in a single postseason. Not to mention that he is already the owner of one of the two biggest home runs in the history of the franchise. But he’s inching closer to one-more Dodgers record and he has Sandy Koufax to thank for inching closer. 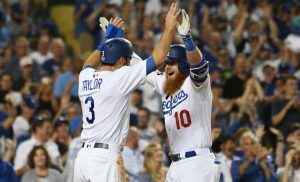 You can call it coincidence or luck, but I will say it was the foretelling of one Dodgers legend that helped Turner earn two more RBIs last night. Turner was supposed to don a pair of Adidas cleats that were colored by artist Chad Cantcolor. #Dodgers star Justin Turner's custom World Series cleats from @adidasbaseball and @chadcantcolor. However, it was Koufax’s few words of wisdom that convinced Turner to keep it simple. It’s gotta be the shoes, so why change it if it ain’t broken? Keep on wearing the shoes that helped propel the Dodgers to their first World Series berth since 1988 and helped him earn an NLCS MVP. So Turner listened to the legend. He kept it simple and put on the same two-tone shoes he’s been wearing all postseason… and he slugged another memorable home run. 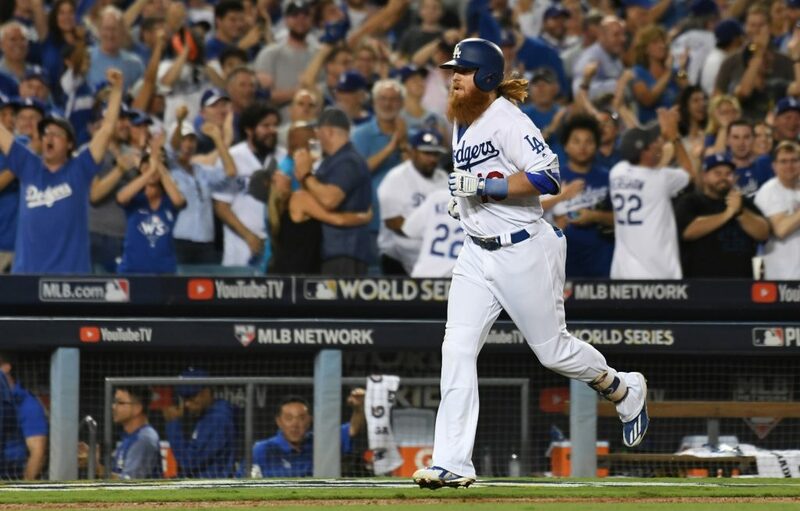 With Turner tied with Duke Snider for the most career RBIs by a Dodger in the postseason at 26, it’s safe to say Turner will play in these shoes for at least three more games to try to break that record too. Nick is the Founder and CEO of SportsLingo.com.